Surf guitars, hard pounding drums and "Western" melodies fueled by a rock n'roll energy: welcome to Flagstone's "Surfin OK Corral". This album, created by Aurélien Barbolosi (Astonvilla, 99lbs) and Greg Baudrier (Astonvilla, Underdogs) will take you from the Far West to the sunny California beaches. 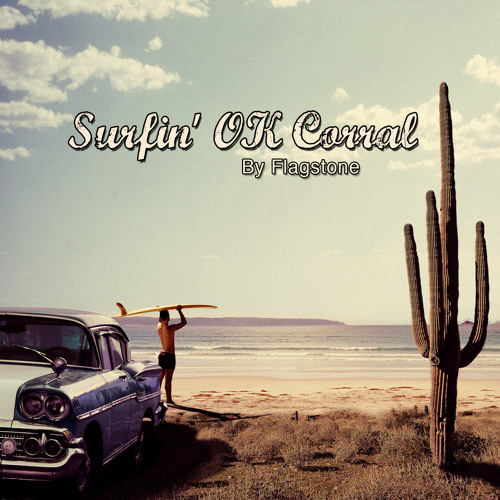 "Surfin' OK Corral" was released in October, 2014. Enjoy the ride!